More than ever it's a word that conjures a wide range of images, emotions and concerns. Today it's a business that's simply more serious than before. That's why, when you have security issues you need a security professional you can count on to deliver exactly what you require. And no one is more serious about a total commitment to customer satisfaction than J.C.J. Security Service. As you would expect from the highest caliber security company. J.C.J. 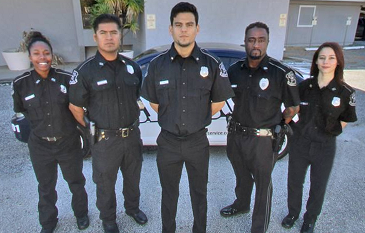 Security Company is fully state licensed and insured in all areas. It's our internal standards of excellence and quality that sets us apart. 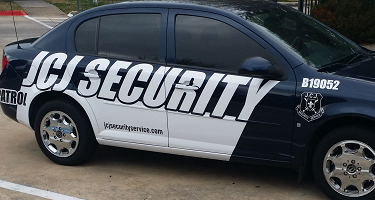 From rigorous training and our thorough professionalism in the field, J.C.J Security Service gives you the security and peace of mind you deserve at a price you can afford. We own all of our equipment. We insist the qualified supervisors monitor each job, ensuring you're getting the service you paid for. I am the owner of Lavacyka Productions and I wrote and directed the Love Zone play performed at the Encore Theater in February. For our security needs, we employed JCJ Security Service and they were there every night and did a fantastic job. I told a friend of mine about JCJ Security which he used for his gospel concerts in March. I recommend them highly.